Kathy Bizarth is retired from 38 years of teaching experience with 25 of those years as director of choral music activities and Fine Arts Chair at Newnan High School, Newnan, Georgia. Prior to assuming her position at Newnan High School, she served as choral director for Paulding County High School, Dallas, Georgia; J.B. Pennington High School, Blountsville, Alabama; and as choral specialist in Telfair County, McRae, Georgia. Ms. Bizarth received the Bachelor of Music Education degree from Jacksonville State University, Jacksonville, Alabama and has completed graduate work from Georgia State University, Atlanta, Georgia. In addition to often being called upon to serve as a choral music clinician/conductor and adjudicator throughout the states of Georgia, Alabama, Tennessee, Arkansas and South Carolina , she has also served as District Chairperson for the Georgia Music Educators Association, as All State Organizer, State Choral Chairperson, and on the Executive Board in the capacity of Second Vice President and most recently as First Vice President for Performance Evaluations. She is presently serving as state co-advisor for the Future Music Educators for the Georgia Music Educators Association. She has also served the American Choral Directors Association as Southern Division High School Choir Repertory and Standards Chair and as organizing chair for the Charleston Southern Division High School Honor Chorus. She is presently state secretary for the Georgia division of the American Choral Directors Association. 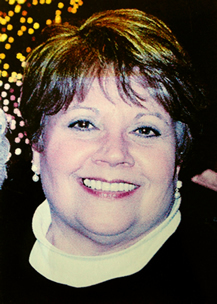 During her tenure in the state of Alabama, Ms. Bizarth was very active in the Alabama Vocal Association and served on the governing board. In 1996, Jacksonville State University Choral Department honored Ms. Bizarth as Outstanding Choral Alumni of the Year. She is also included in the 1998-99 Who’s Who Among America’s Teachers. Most recently, Ms. Bizarth is active as a member of the Spivey Hall Education Committee, and is the founding director of the Masterworks Chorale Community Chorus of Newnan, Georgia. Professional affiliations include the Georgia Music Educators Association, American Choral Directors Association, Music Educators National Convention, Delta Omicron Professional Music Fraternity, Alpha Delta Kappa Professional Honorary Teacher’s Fraternity and the Professional Association of Georgia Educators. Ms. Bizarth serves Newnan First United Methodist Church as Associate Director of Music.